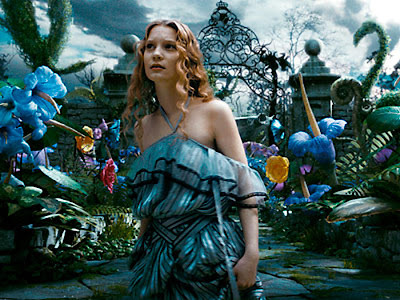 First up we have a new photo of Tim Burton's Alice in Wonderland. It's a wonderful photo of Mia Wasikowska as Alice Kingsley. This is out of promotional photos from Comic Con 2009 which is happening in San Diego right now. Lookeng Good.